Posted on June 4, 2018 at 9:23 am. It is tempting to fix complicated machinery all by yourself. We all have the confidence that our skills, talent and knowledge will never betray us when we need it the most. This is most certainly true when you’ve had bad experience with a technician who promised a lot, but delivered absolutely nothing. In order to attempt the repairs and avoid shoddy repairmen in the future, one resorts to a DIY repair work. Technical videos and articles are a dime a dozen, but unfortunately they aren’t the same as training under a professional technician. A DIY project might work on small equipment such as fans and maybe your computer’s keyboard, but they often end up as a disaster when attempted on something as big as your air conditioner. Those are purely the domain of heating and air conditioning service in Chattanooga, TN. Below are a few reasons why you should not attempt difficult repairs yourself. Perhaps the most important reason why you should never repair heating and ac in Chattanooga, TN is because you most likely don’t have access to the professional equipment needed for them. Fixing an air conditioner with improper tools will damage it more than it already is. Common problems such as refrigerant leaks require equipment which allows you to analyze pressure differences and detect leaks. Even if you were to purchase the equipment yourself, it would take weeks before you could become accustomed to properly using them. There’s a reason why professional air conditioner repair in Chattanooga, TN requiresyears of training before proper certification is given to a technician, which brings us to our second point. Watching a few videos on YouTube about a DIY repair is simply not enough to substitute for the years of learning that a typical master technician undergoes before they are given a certificate to operate. While we aren’t denying that YouTube videos are a great way to learn new things, they don’t come with a certificate. And that really is the crux of the issue, homeowners simply do not have the certification from competent regulatory bodies to testify that they possess the requisite knowledge to work on dangerous equipment without harming themselves in the process. For this reason, it is simply better to trust your heating and air in Chattanooga, TN to a thoroughly trained professional. 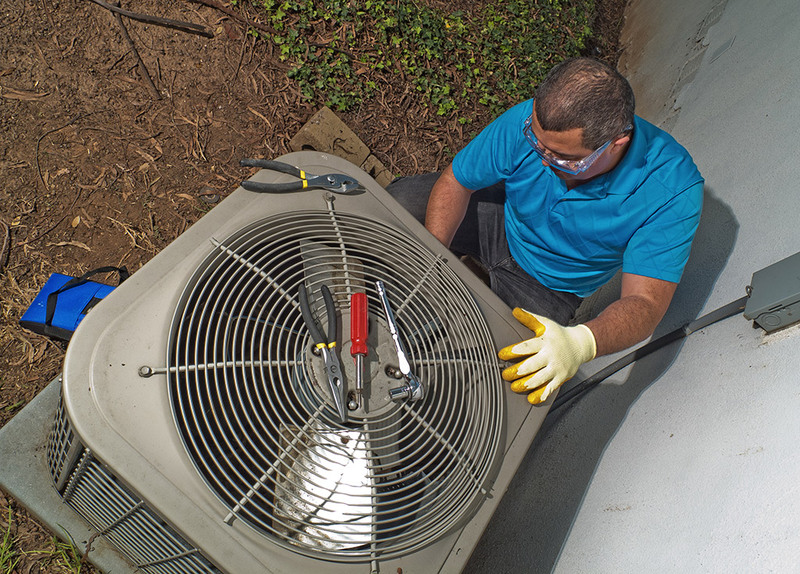 Air conditioner repair is a time consuming job and requires a thoroughly trained person to handle them. The technicians have years of experience dealing with equipments and train under professional electricians. For this reason they can make short work of most issues that plague a modern air conditioner. A homeowner however, would be forced to spend long hours just studying the crux of the issue. It would take long for them to audit the AC unit, and even longer to figure out how to attempt the repair work themselves. It isn’t common for the problem to become a more complicated issue by the time you finally get down to the repairs. It’s far more economical both in terms of time and money to hire a professional heating and air conditioning service in Chattanooga, TN. Highly trained heating and air condition service in Chattanooga, TN know how to maneuver around the dangerous equipment. They know the ins and outs of HVAC equipment like the back of their hand. This allows them to follow guidelines to adopt appropriate safety measures. This isn’t the case for homeowners with minimal knowledge of air conditioners. Their lack of expertise puts them in harm’s way. Faulty air conditioners sometimes have a shoddy system of wires in place. One wrong move and all the deadly amps of electricity get redirected to the unfortunate person’s body instead, electrocuting them in the process. Their lack of experience puts them and their family at a risk of sudden jolts of electricity throughout the house. It is safer to trust your heating and ac in Chattanooga, TN to highly trained professionals instead. The primary reason why most people attempt the repair work themselves is because they want to avoid paying for a service they think can be resolved at home. But it has been shown by researchers that attempting these repairs can actually expose your unit to more complex issues which in turn, turns into a bigger expense. An untrained person simply doesn’t have the expertise to resolve those issues and their little “DIY” session could end up costing hundreds, if not thousands, of dollars more. Air conditioners and HVAC units have complex internal components which are designed to work in harmony with each other. It is important to understand the operating principles behind each component before attempting repairs. It is obvious that the average homeowner doesn’t have the time to learn about these components. How then, can a person with incomplete knowledge, attempt repairs of an AC unit which has dozens of small parts intricately woven together to work in harmony? If their DIY project ends up botched, it will mess up not just the affected component, but the surrounding components in the region as well. This will make things worse in the long run. The homeowner will then end up calling a professional as a last resort to fix their unit up. Only now, the repairs end up being more costly because of the extra damage done to the unit. The truth is that even something as simple as cleaning an air conditioner requires knowledge and experience to ensure that none of the fragile items are damaged in the process. Now that we have talked at length about why you shouldn’t attempt repair work yourself, it is time to introduce you to a firm with the knowledge, skill, experience and certification necessary to perform heating and air conditioning repair in Chattanooga, TN. At Metro Plumbing, Heating and Air, we have highly trained professionals who are equipped to address all your heating and air conditioning grievances. Call now for a thorough inspection and repair of your AC and HVAC unit!